Hi! This week I am part of the Leap into Books Blog Hop. As part of this hop, each and every blog will be offering a giveaway, many that will involve books. 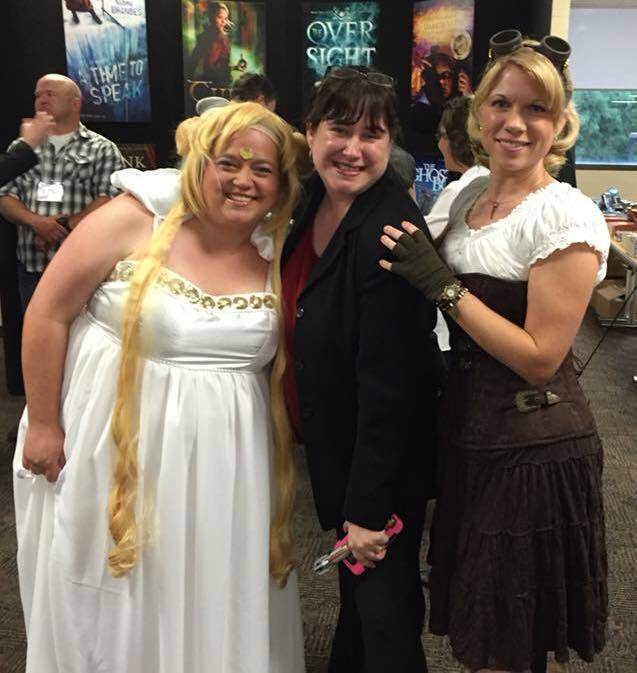 So if you are a book lover, this is the blog hop for you! Now for my list. These books are like comfort food. When I want something to read and have nothing new, I grab one of these. I have read them over and over again. These books are old friends who live on my shelf (you know what I mean?). 1) Anne of Green Gables. L. M. Montgomery’s books take me to a time and place filled with unique characters. If you haven’t read the series (past the first book), I would highly recommend you do. 2) The Hobbit/Lord of the Rings/The Silmarillion. It was The Hobbit that first sparked my love for the fantasy genre. I also love The Silmarillion. Basically it’s the history book for anything Middle Earth. 3) Pride and Prejudice. Personally I think this is the best romance written. Girl meets boy. Girl hates boy. Girl realizes she was wrong about boy. Boy does everything to win girl back. Love it! 4) The Scarlet Pimpernel. I read this book for the first time a couple months ago and absolutely loved it. It takes place during the French Revolution (fascinating time period) and revolves around a mysterious man who, with the help of a group of young English noblemen, smuggles French nobility out of France. 5) Jane Eyre. A darker tale of love, but beautiful as well. It is about a young woman who has to choose between the way of love and the way of virtue. She chooses to stand by her convictions. At the end of the book, she is finally free to marry the man she loves who by then has paid the price for his past wrongs. A wonderful book about enduring love. 6) Mark of the Lion Series. Excellent three book series that takes place during the Roman time period right after the fall of Jerusalem. The story follows a young Jewish woman who is sold as a slave into a roman household. 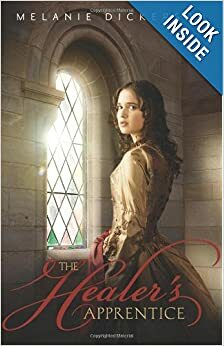 Great historical fiction. 7) Star Wars: Heir to the Empire series. There are many Star Wars books out there written by many different authors, but my all time favorite is this first series written by Timothy Zahn. If you want to read Star Wars, start with this series. 8) Harry Potter. I first began reading this series after the teens in my youth group were asking about Harry Potter. I love these books! J.K. Rowling has written an amazing world and deep characters. 9) Sherlock Holmes. Yep, I love the man of deduction. It always fascinates me how Sherlock Holmes is able to solve each mystery by seeing what we all see, but in a different way. Classic mystery. 10) Chronicles of Narnia. I could not end a post like this without mentioning C.S. Lewis and his stories about Narnia. I will say the books are better than the movies. So go read them. So there’s my list. What are your favorite books, those whose covers are worn and pages are dirty, but you read time after time after time again? Please share in the comments. Maybe I’ll find a new love among your lists. And don’t forget to check out the rest of blogs along this hop! Click here. 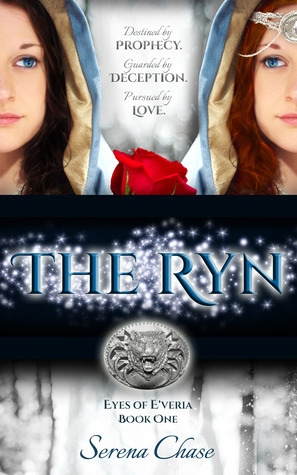 The Ryn by Serena Chase. The story is your typical young person finds out they are royalty, but I love how Serena puts a unique twist on this by giving Rose (who later finds out she is the Ryn, the future savior of her people) the ability to hear other people’s thoughts. That and Rose has red hair (I love red hair!). To read my complete review of The Ryn, click here. To find out more about The Ryn, click here. The Blood of the Kings series by Jill Williamson. Another fantasy with people who can hear minds. This three book series is a two time Christy awarding series (along with multiple other awards) and just plain good. To find out more about In Darkness Hid (the first book) click here. And of course, my own fantasy series. The Follower of the Word series centers around Rowen, a young woman who discovers a mark on her hand, a mark that allows her to see inside the human soul. There are those who are terrified of her power, and so banish her. And then there are those who wish to possess that power and search all the Lands for Rowen, the last Truthsayer. 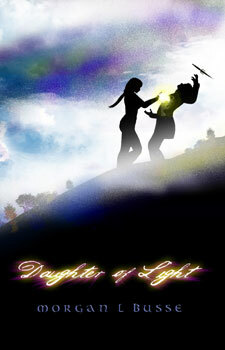 To find out more about the first book in the series, Daughter of Light, click here. 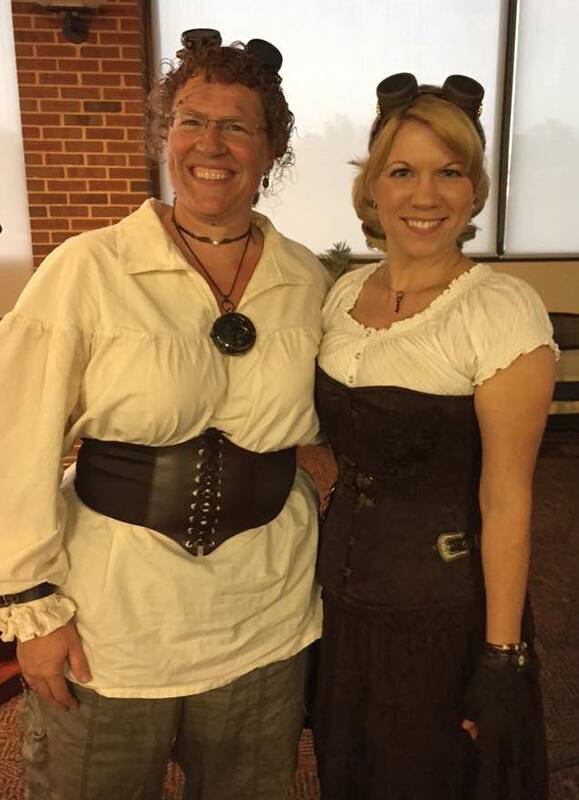 I love steampunk: the gadgets, the historical flavor, the meshing of fantasy and technology. 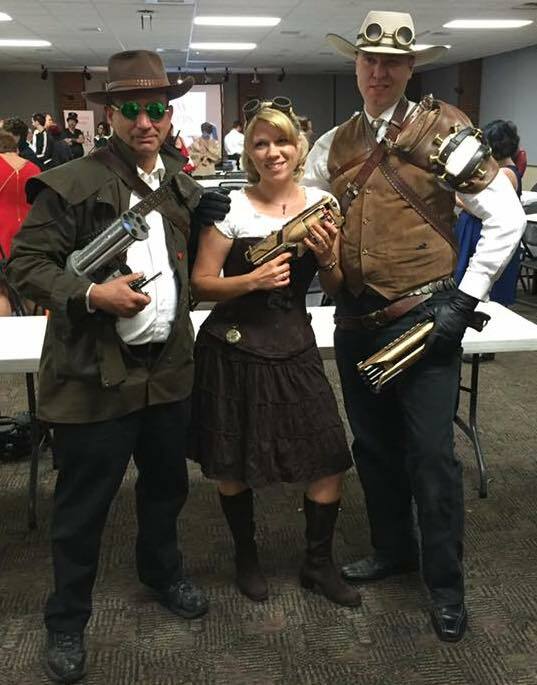 So of course I need to add some steampunks to my list! Crosswind by Steve Rzasa. The Stark brothers live in a western steampunk world filled with aeroplanes and trains, and lots of adventure! Click here to find out more. 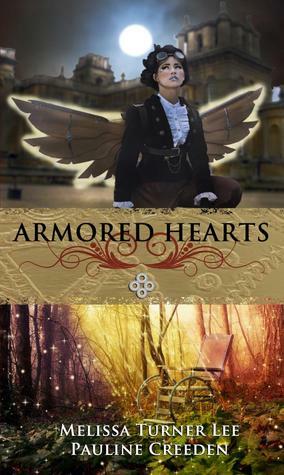 Armored Hearts by Pauline Creeden and Melissa Turner Lee. When a crippled young lord rescues a girl falling from a tree, it reveals a secret about himself and his mother’s side of the family that could put him at the center of a war with beings he thought only existed in fairy tales. Click here to find out more. A Star Curiously Singing by Kerry Nietz. In the future, Earth is ruled by Sharia law. Follow Sandfly, a debugger and a slave, who goes to a space station to fix a robot for his masters, a robot that has went mad. But little does he know his life is about to change. To read my full review, click here. And to find out more about the book, click here. I wasn’t sure how to categorize these last books until I saw someone else label it as myth. Yes, myth, but more like celtic or some other medieval myth, not Roman or Greek. 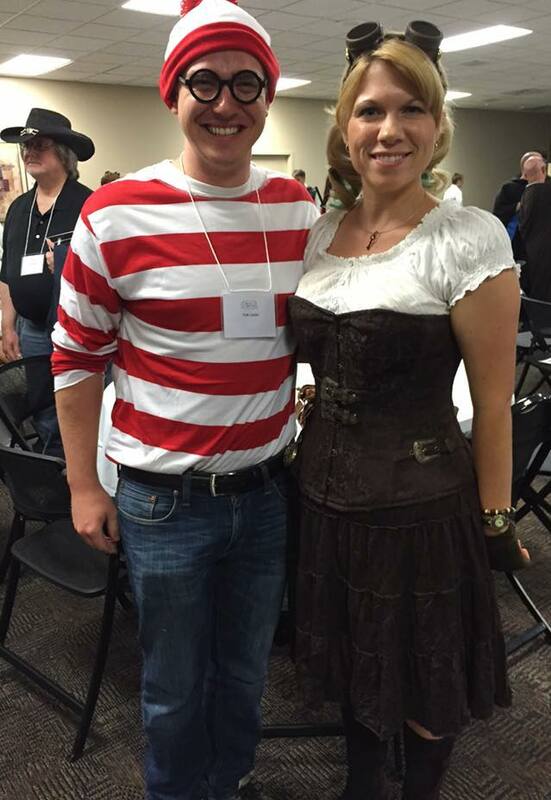 Anne Elizabeth Stengl writes some amazing stories filled with dragons, princesses, elves, and trolls. Generally, I get tired of the same fantasy trope characters, but Anne breathes fresh air into these stories. They are truly unique and some of my favorites. The first book in her Tales of Goldstone Woods is Heartless. Click here to find out more. Yes, that is the category I would put this book in (all puns intended). Amish Vampires in Space by Kerry Nietz is just that: Amish vampires in space. But less you think this book is a spoof, I personally know Kerry has taken the time to really flesh out the Amish culture and ask what would happen in the future with this group of people? How would they live, what would their lives be like if there was planet colonization and space travel? And the vampire part, more science than horror. Really, you need to check it out. Click here. I wish I had more time and space to list out more of my favorite books, or books on my reading list, but then you would be sitting here reading this blog instead of out searching for your next book. So go forth, my friends, and read! Today I am a guest over at Speculative Faith where I talk about the future of Realm Makers: the potential for this burgeoning alliance to grow into a true Christian speculative con. Head on over and join the discussion, especially if you have some ideas for panels, guests, and classes. 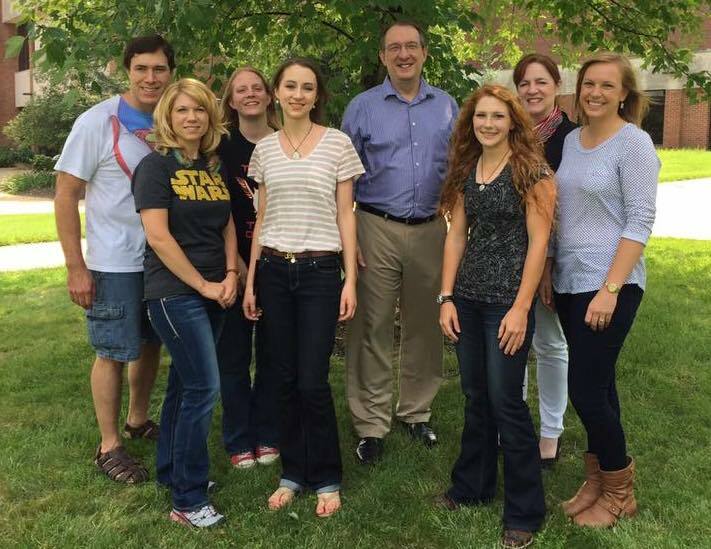 I just came back from a weekend-long women’s retreat where I did my first speaking gig. I met many wonderful woman, had lots of fun, and now am absolutely tired. So instead of trying to squeeze my brain for a post this week, I thought I would share about a conference coming up in August that I am totally excited about. Realm Makers began as a dream among a couple Christian speculative writers and artists. We love cons and we loving writing conferences. What if we put both of them together? 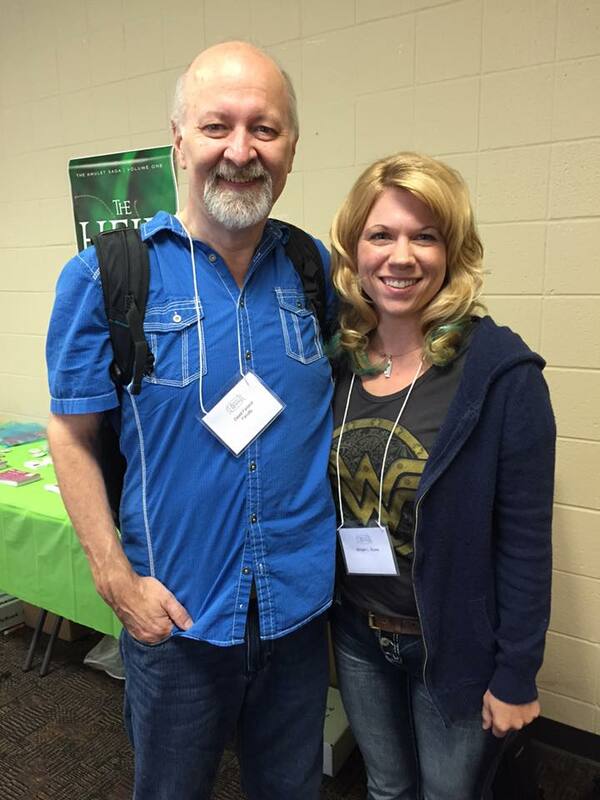 What if we met for a weekend to exchange ideas, share what we have learned, and enjoy sci-fi/fantasy together? That dream became a reality this year. Where the Map Ends. This is the first site I discovered years ago for Christian Speculative lovers. It has everything from interviews with Christian authors of this genre to book lists to forums where Christians talk about science fiction and fantasy. A bonus to this site is a section where you can learn great writing tips from Jeff Gerke. Speculative Faith. I found this site about 2 years ago. Monday through Friday you can find articles written by people knowledgeable and passionate about the speculative genre in general and how it relates to the Christian faith in particular. Excellent site for discussion. Bonus: Speculative Faith has a current book list of pretty much all the Christian fantasy and science fiction out there. So if you’re looking for something to read along those lines, check out their list. Speaking of books, the Christian Science Fiction and Fantasy blog tour (also known as the CSFF) consists of 30-50 bloggers who each month review a Christian speculative book or site. The goal of this blog tour is to let people know good Christian fantasy and science fiction exists. I will be participating in the tour at the end of this month. If you want to read about my thoughts on past books, click on CSFF Blog Tour. And of course, Marcher Lord Press. 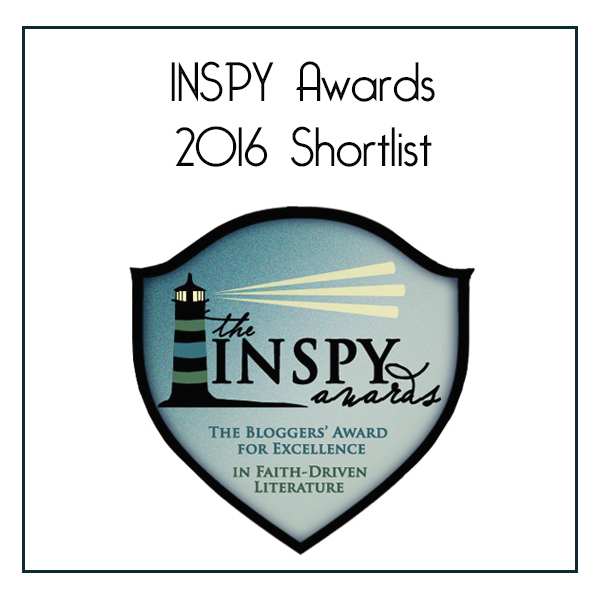 I hope this helps many of you on your search for Christian speculative fiction. Enjoy! Starfire is an otherworld military science fiction filled with… dinosaurs! Actually, a more accurate term for the cold-blooded fighting force would be the Saurn. Rathe, a Saurn on the low end of the military and caste totem pole fights his way to a decent standing in a light infantry force. On a mission to retrieve a group of engineers, his world is tossed upside down when one of the engineers stumbles into an old technological ruin and is transformed into a cybernetic messenger. His mission now changes. He is to protect Karey Or (the name of the engineer turned cybernetic) and lead her to Thode (an ancient military institution) where her download will be complete. Then she will become the key to Starfire. Only Rathe can make the choice to use Starfire and save his people from the invading Herians or destroy Karey Or and save all the people of his world… at a price. Which will he choose? It took a couple chapters for me to immerse myself into Starfire, but once I did, I was blown away. Stuart Stockton does an excellent job getting the reader inside the skin of his dinosaur heroes. I could see the volcanoes in the distant, taste the Seethe juice, feel the cold as a cold-blooded reptile would. But not only was the world building great, I found myself thinking about the characters. I couldn’t decide whether Karey Or should be destroyed to save the many or if Starfire should be fired to save the Saurn. I struggled when some of the characters died and when one betrayed the others. I found myself relating to Struth as he works out his newfound faith in VorTolKo. Starfire left me thinking long after I finished the book and in eager anticipation of the next in the series. *I received a free copy of this book from Marcher Lord Press in order to review. Next is Rebecca LuElla Miller‘s post on the opening quote of The Skin Map and the physicist quoted (Quote is “Why is the Universe so big? Because we are here!” John Wheeler). Her response to John Wheeler’s question would be a bit different (the Universe isn’t so big because of us but because God is bigger). Check out her post and see what more she has to say. Now, moving on to the Spiritual Factor. I’ve come to realize since last month that I should come up with a definition of what I mean by the Spiritual Factor. There is always debate on what makes Christian fiction Christian versus just secular. Is it a clear presentation of the gospel? A God similar to the one in the Bible? Moral behavior? Here’s is what I have come up with and will use as the measuring stick when I talk about the Spiritual Factor of the books I read: what about the book brings the reader into a more deeper understanding of God. This can range anywhere from a non-Christian exploring the elements of faith to a long time follower experiencing the growing pains of faith. I do not believe it is enough to have morally good people in a Christian book and cross ones fingers and hope the reader picks something up. I believe there should be some purpose. And I explore how well the author brings his/her point across. Now for The Skin Map. I hope this isn’t his definition of God because it sounds eerily familiar with how the Star Wars Universe describes the Force. God is not an intelligent field of energy. He is a being possessing of personhood. The only character in the book that seemed to have a belief in God was Etzel, the German baker Wilhelmina runs into when she is transported back to Sixteenth century Prague. His faith intrigues Wilhelmina and you see her considering it. But that is all I saw in this book. Now this book is first in a series and perhaps there is more to uncover in the next few books. Personally I’m curious to see how the characters (and perhaps the author) show how God is involved in the ley lines and hopefully in the characters’ lives themselves. I’m especially interested to see if Etzel’s beliefs have affected Wilhelmina. Until I am able to read more in the series, my vote is out on how much of a Spiritual Factor there is in The Skin Map. I sure do hope the direction of God is not towards the quote I have above. It’s the end of October and time for another book review brought to you by the CSFF Blog Tour (Christian Science Fiction and Fantasy for those still trying to remember the acronym :)). This month we are reviewing The Skin Map by Stephen R. Lawhead. I would highly encourage you to click on the book link. An awesome book trailer opens up the website and explains the premise of the book more than I could ever do justice to. But just in case you want me to try and explain anyway, here I go! Ley Lines: unexplainable forces of energy around our world that allow a person to jump through time and dimensions. Kit Livingstone possesses the gift to make these jumps. But jumping can be dangerous. You never know if you’ll end up in a tiger filled jungle or on the battlefield. You need a map to help you know where to go. Cool Factor: I had briefly heard of ley lines before reading this book. This book brings those ideas to life. The thought that there are other dimensions of our world, shaped by choices we did not make in this world are fascinating. What if the Confederates won the Civil War? What if Luther had never protested the Catholic Church? What would our world look like then? (these are not mentioned in the book, I just mention them to illustrate what dimensions of our world could look like. Stephen uses examples of British history changed in his book). Along with different dimensions are different times. Sixteenth century Prague. Ancient Egypt. Our modern times. How would you cope if you were thrown into another time? Wilhelmina (who became my favorite character in this book) faces this obstacle when she follows Kit through a ley line and ends up in Sixteenth century Prague alone. I was rooting for her as she faced her fears of being in a different time period and making the best of it (she came up with a Kaffe House and being a coffee fan, I loved reading her chapters how she survives by introducing coffee to Europe). After visiting many of the participating blogs during this tour, it would seem both C.S. Lewis and J.R.R. Tolkien were a big influence in our love of Science Fiction and Fantasy. I also discovered some other books while perusing other bloggers’ sites. One I had forgotten was Taliesin by Stephen Lawhead (Phyllis Wheeler posted about this book http://christian-fantasy-book-reviews.com/blog). Great rendering of the story of Merlin (or more accurately, his parents).